PE-DESIGN embroidery software offers a full range of embroidery design and editing capabilities for beginners and experienced embroiderers alike. Whatever your embroidery need or your level of expertise, there's a software for you. 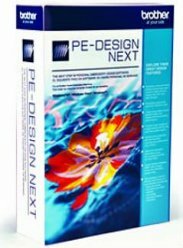 Compatible with most embroidery machines, PE-DESIGN software can enhance any creative embroidery design project. Go ahead... play a little! 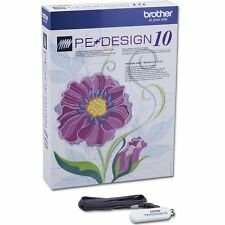 Take the next step in personal embroidery! designs up to 9.5"x14" without re-hooping! -Photo stitch...it's like printing with thread! -Easy editing height, width, kerning, shape, etc.